Friday from 5pm-8pm Elliotborough-Cannonborough residents are invited to stop by 69 Spring St “The Hub” and get acquainted. The goal of The Hub is bringing neighborhood businesses together to enhance the quality of life and success of businesses and residents. 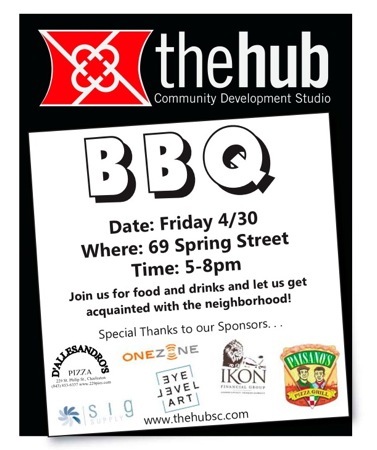 Stop by the store front location at 69 Spring street for the Bar-B-Q on Friday April 30th from 5pm-8pm where there will be food, drinks and live music provided.